James Rollins is the #1 New York Times bestselling author of international thrillers, translated into more than forty languages, with more than 20 million copies sold. 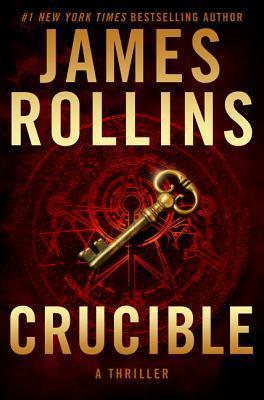 The New York Times says, Rollins is what you might wind up with if you tossed Michael Crichton and Dan Brown into a particle accelerator together, and NPR calls his work Adventurous and enormously engrossing. Rollins unveils unseen worlds, scientific breakthroughs, and historical secrets--and does it all at breakneck speed and with stunning suspense. A practicing veterinarian, Rollins has pursued scuba, spelunking, and other adventures around the world, and currently lives and writes in Lake Tahoe, Nevada.